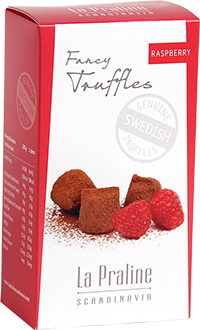 Truffle with fresh flavour of raspberry! Some like it when it's hot! QUALITY, ENVIRONMENT AND LOCALLY PRODUCED – THAT IS OUR PHILOSOPHY! We ensure the quality of our products through our IP-certification, we were certified already in 2014, which means high demands on routines in the production and traceability of the products. With our own production, we are reducing the external environment because we avoid long and unnecessary transports. Means a lot to everyone because it means reduced transports, reduced pollution and more jobs in Sweden. Do you think of the future? 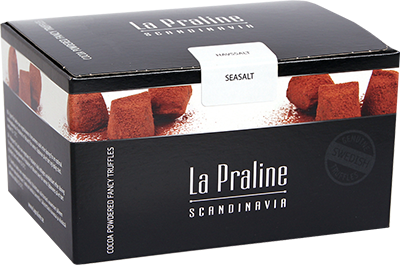 What is it that makes La Praline so successful? We are good at what we are doing. Our goal has always been to produce what you ask for, i.e. 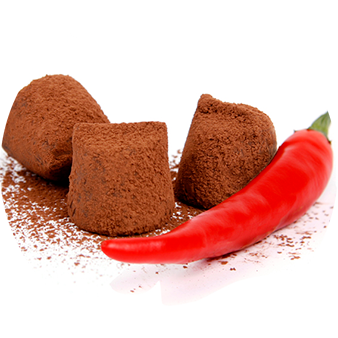 tasty truffles in a stylish package to a human price. 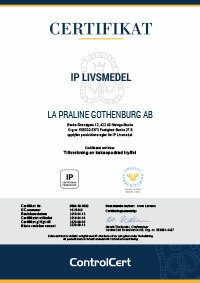 The small familycompany with the great capacity – is regarded today as one of Sweden’s leading confectionery!